Modern Delivery & Moving has been serving communities throughout Ohio as a premier moving company since 1957. We are known for our delicate processes with residential moving, commercial moving, loading moving trucks, and unloading moving trucks. We are located in Marion, Ohio, but rest assured we will travel to help the residents and business owners in Delaware, Lewis Center, Powell, Marion, Upper Sandusky, and Columbus, Ohio. These communities have learned to trust our professional and expert services for almost 60 years. 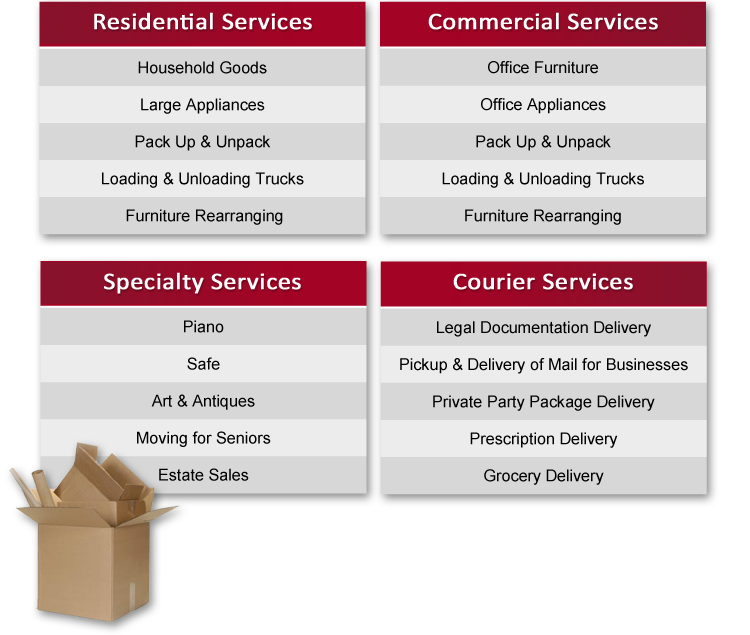 Modern Delivery and Moving is ready to be of service to any move within the state of Ohio. Not only do we specialize in moving furniture, but we also offer specialty moves for items such as Arts and Antiques, Safes, Pianos, Moving and Rearranging for seniors, or help with moving for an Estate Sale. Perhaps your office is relocating in Ohio, we can help move office furniture, appliances, and sensitive documents. We offer a professional and prompt Courier service for any personal or business needs. There is no job too big or small for our experienced company, so if you need a little help with your next residential move, commercial move, or need to hire a reliable Courier, call the owner direct and get a Free Quote! Check out what our clients have been saying about us! Click here to read our customer reviews.